So…let’s just put it all on the line here. I don’t know if this Christmas break has been rough on anyone else, but it seems like my kids have become wild animals. Wild. Animals. I don’t know what schools are doing everywhere else, but my kids didn’t get out until right before Christmas and then they don’t go back until the 8th. So all of the happy fun Christmas-y anticipation happened while they were still in school, and all the mopey, messy post-Christmas-ness (and then some) is spent here. In my house. My kids are all on each others’ last nerve. They’re fighting over the minutest details. They are sobbing hysterically about party blowers and quarter-length sleeves. Things are tense. So after our last freakout, we decided to make Nutter Butter snowmen. We managed to (mostly) not fight for about 45 minutes, which I will take. You’ll need Nutter Butter cookies (I’m not aware of any similarly shaped allergy-friendly cookie, but those familiar with that world and those products might have some good ideas), white chocolate bark, mini M&Ms, mini chocolate chips, pretzel sticks, orange Tic Tacs, and, if you’re feeling especially awesome, Twizzler Pull ‘n’ Peel licorice. 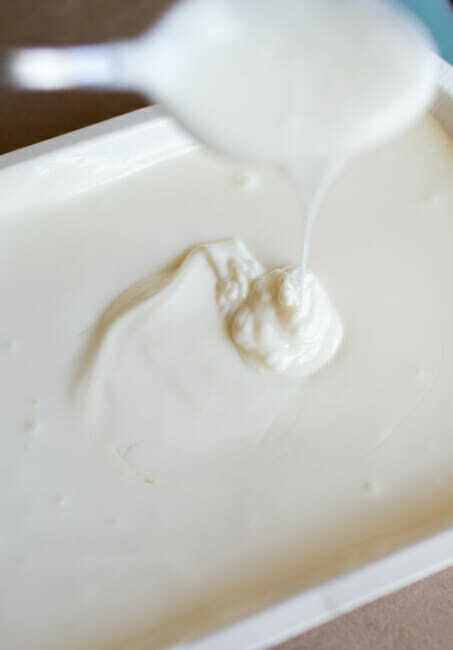 and place it on the prepared wax paper. You’ll want to work with about 5 cookies at a time; any more than that and the chocolate will start to harden before you can finish them and then you’ll be sad. At least I would be. Carefully place 2 mini chocolate chips (pointy side up) on the “face” of the snowman as eyes and then about 5 to make a smiley face. Place 2 mini M&Ms on the snowman’s belly and the orange Tic Tac in for the nose. 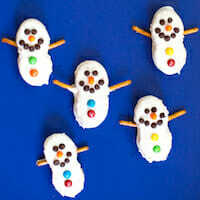 Allow them to dry (you can work on more snowmen while the others dry) and then break a pretzel stick in half and use more melted white chocolate to stick the pretzels to the back of the snowmen (like arms). If you’re feeling REALLY awesome, you can tie about half of a pull ‘n’ peel strand around each snowman’s neck as a scarf. I am not awesome. I forgot until it was too late. Sooooo…yeah. Anyway, my kids loved it and it reminded me of how much fun it is to hang out together when we can all get along. So if you’re looking for something fun to keep your kids busy for, say, 25 minutes, I’m your gal. Line a baking sheet (or, if you’re feeling ambitious, a table) with wax paper or aluminum foil. 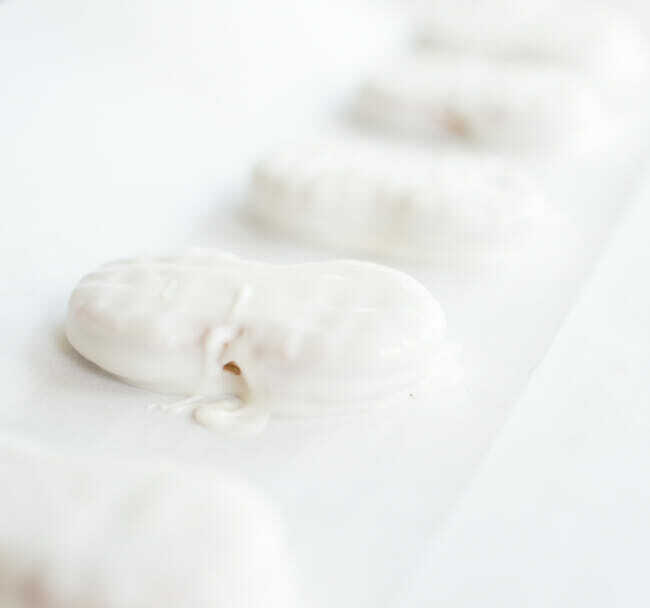 Melt the white chocolate bark and then dip a Nutter Butter in the white chocolate and place it on the prepared wax paper. You’ll want to work with about 5 cookies at a time; any more than that and the chocolate will start to harden before you can finish them and then you’ll be sad. At least I would be. 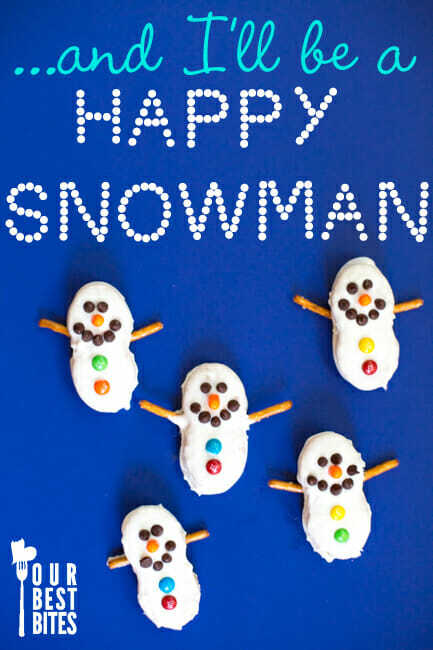 Allow them to dry (you can work on more snowmen while the others dry) and then break a pretzel stick in half and use more melted white chocolate to stick the pretzels to the back of the snowmen (like arms). If you’re feeling REALLY awesome, you can tie about half of a pull ‘n’ peel strand around each snowman’s neck as a scarf. 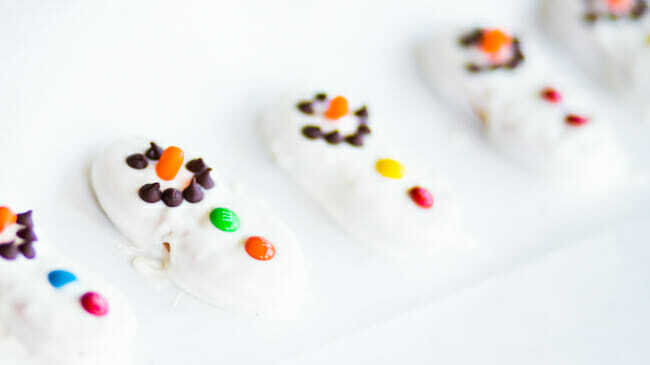 Cute snowmen! Our Christmas break had the opposite problem — we got out right before Christmas and went back yesterday. WAY too short! The plus side of a short break is that the Frozen Soundtrack doesn’t play when my kids go back to school and if I listen to something different maybe I will be able to get Love is an Open Doooooor out of my head. 🙂 Have you tried taking your kids roller skating? That’s always a good diversion for our when the kids are on break, especially if we get a group of friends to go. Good luck with the next week! Those are very cute. I will need to see Frozen one of these days. We’re a bit behind in the movie department around here. We finally watched planes this week and loved it. I will have to try this with my son next year…or the next! 🙂 He’s still a little dude. Aww so cute! These look great! Oh, kids fighting. Worst thing about parenting. Hate it. Your snowmen are so cute but your blog is even cuter. You girls crack me up. Love, love M W F!!! Happy Winter! Cute idea! How do you completely dip the cookie without leaving gaps of uncovered cookie where your fingers are holding it or leaving fingers prints on them? I’ve tried using a fork and I have the same problem. Help! Thanks for the tutorial…I’ve seen these but never really thought about the details. I’m going to try them for my son’s birthday party in February…that should entertain a few kids for at least 20 minutes of the party! Thanks for making me laugh. And we are on year round school so my ANGEL kids don’t go back to school until the end of the month. Heaven help me. We may make these more than once. Yes! Tattle tales galore in our casa-two more days! 😉 I am going to try this for tonight’s dessert. Cute! I LOVE the movie Frozen! I got the Frozen soundtrack for Christmas and I constantly hear,”Lucy, stop singing! !” One morning, my brother Kye, who usually hates listening to the radio on the way to school, begged for my dad to turn it on so,”we don’t have to listen to Lucy sing.” Anyway, these cookies are so good! My mom makes them as ghosts around Halloween. 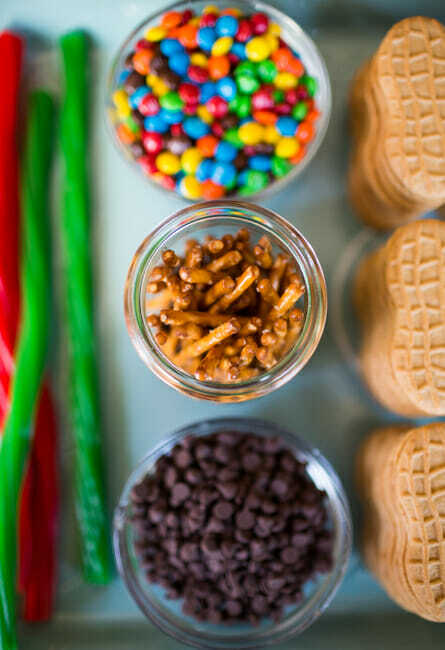 Adorable, creative, and something worth a party! this is a Jaw Dropping Recipe… For sure i would gonna try this with my loved one..